On March 9, 2019, thousands of Trojans gathered across the globe to make a difference in their communities. The USC Alumni Association would like to thank all alumni and friends who participated in their local Day of SCervice projects and the USC alumni clubs, chapters and other affiliated groups who helped organize and facilitate projects worldwide. Thank you to our 2019 sponsor, The Cale Foundation, for making this event possible. Check out photos from the day in our Day of SCervice Flickr album and search #SCervice on your favorite social media channel for past SCervice stories. Each year, thousands of Trojans gather across the globe to make a difference in their communities. 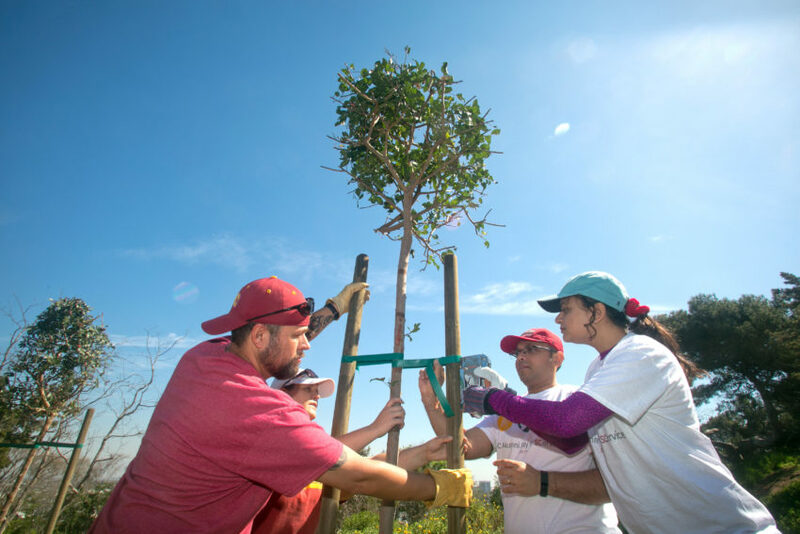 The USC Alumni Day of SCervice is an opportunity for all alumni and friends to participate in local service volunteer projects organized by our USC alumni clubs, chapters and other affiliated groups worldwide. Take a peek at this year’s 100+ service projects thousands of alumni from all over the world participated in. Did you participate in a 2019 Day of SCervice project? Share your story in the form below to be featured on our Social Media channels.